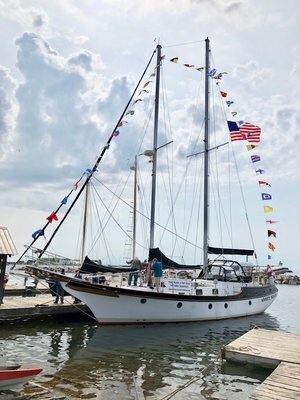 August was a busy month for LSTS and the Abbey Road, with the highlight being a trip to Duluth to sail with the Tall Ships. 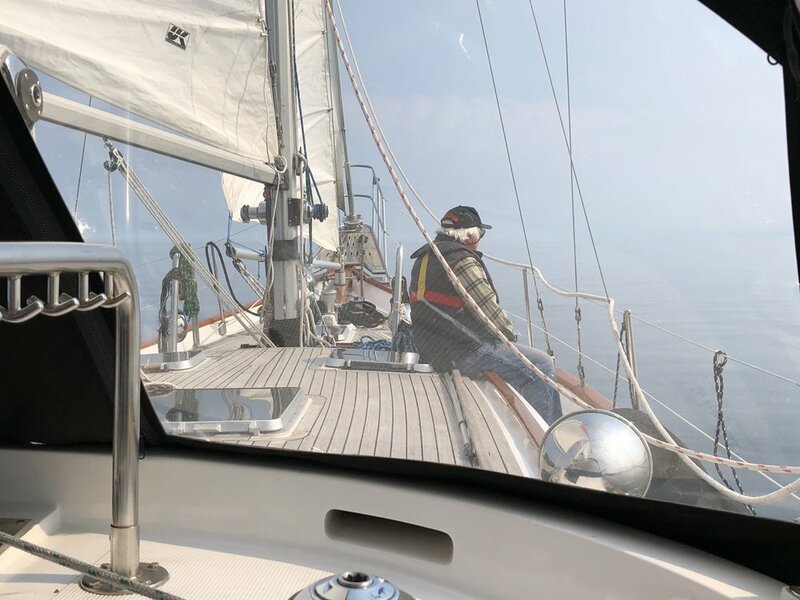 We departed Pike's Bay Marina on Tuesday 8/16, spent the night at Sand Island and then sailed into Duluth on Wednesday evening with the Sea Scouts from Ship 336 as crew. On Thursday we sailed with the other 8 Tall Ships and hundreds of spectator boats back into the harbor in the boat parade. 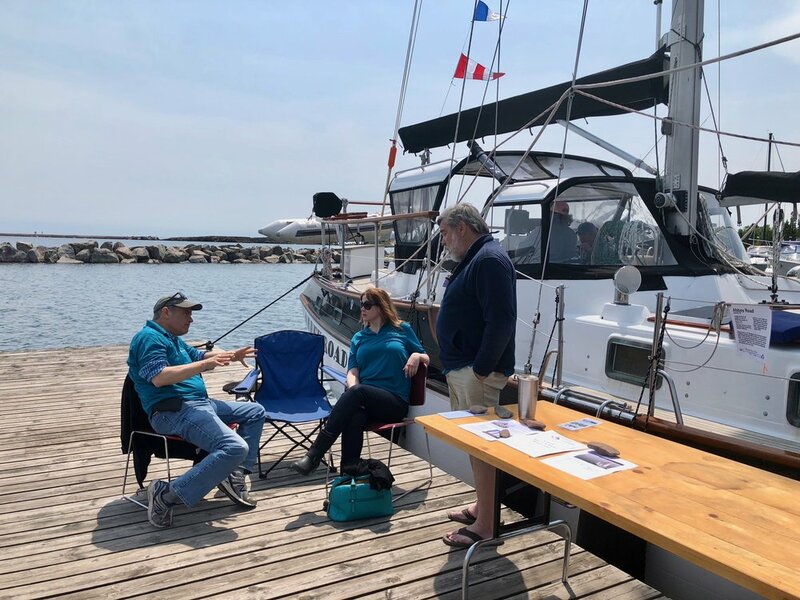 Friday, Saturday and Sunday, we stayed at the dock and chatted with thousands of Tall Ship enthusiasts. 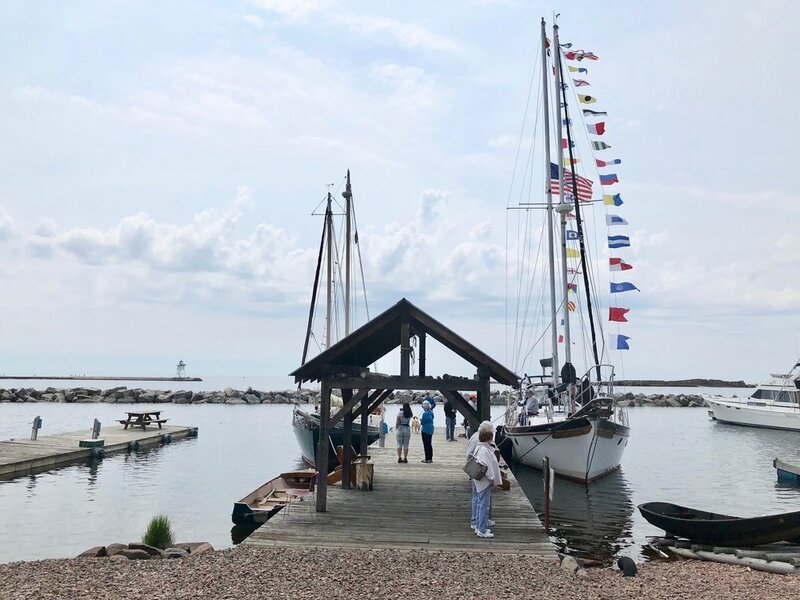 I could go into a lot more detail about Tall Ships Duluth, but the links below for the Duluth and Ashland News tell the story better than I can. On Monday morning we got underway to participate in the Tall Ship Challenge regatta. Sizing up the competition as we tacked back and forth before the start, we were confident that the light winds would give us and edge over the much heavier ships. We were first over the line at the gun (probably the first and last time for AR), and held the lead for a whole hour. Freshening winds and the massive sail area of our rivals proved to be too much for AR, and by hour 3 we were alone at the back of the pack. 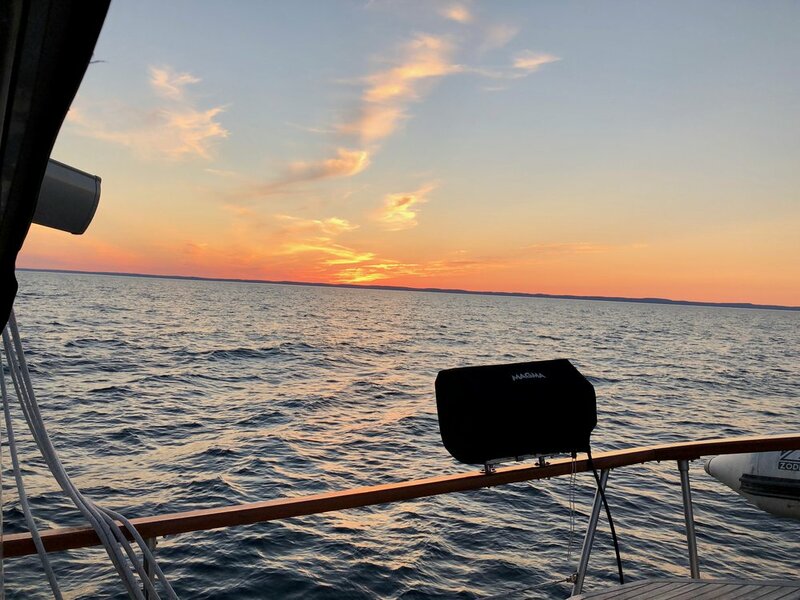 We bid farewell to the fleet at Sand Island and spent the next two days exploring the Apostle Islands. By Lisa Kaczke on Aug 19, 2016 at 9:09 p.m.